Baroness Thatcher, the late former British Prime Minister, said: “You and I come by road or rail, but economists travel on infrastructure.” And so do countries. Fast-developing economies need cement and other building materials to help them create the infrastructure they need for growth. Roads, hospitals, ports, schools, housing, bridges, warehousing and plants must all be built. And for sustainable growth, the materials and building must be of high quality. Kusto identified the need in Vietnam for quality construction materials 10 years ago, when it first invested in the country. 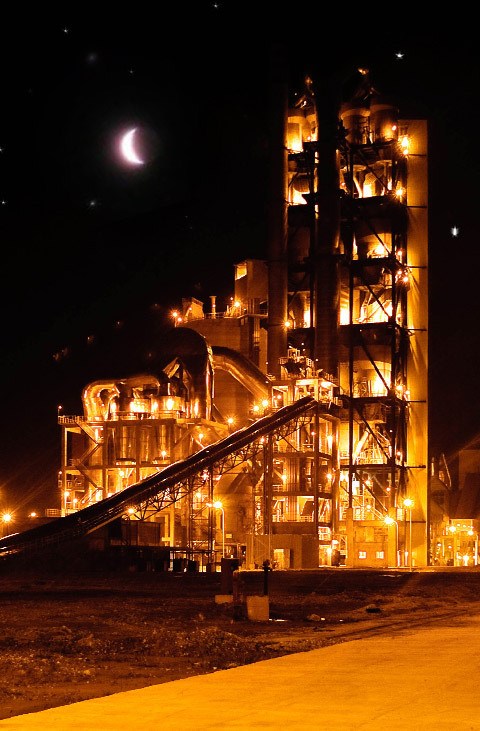 Today, Kusto Vietnam helps produce some 60 per cent of the cement in the central region, amounting to 4m tonnes a year. It is lead investor in the country’s number one construction company — the only Vietnamese construction company invited to bid and compete against Korean and Japanese organisations for complex government projects. For good measure, Kusto is also building Vietnam’s first luxury residential complex. Fast-developing economies also need a hidden infrastructure to make it all work, including a modern and reliable banking system. There too, Kusto has led the way with iCare, formerly known as MobiVi, a rapidly-growing payment facility and online bank. “These sectors – construction materials, real estate and banking – are the core building blocks of a 21st-century economy and we are helping to ensure that these essential ingredients are of consistently high quality thanks to our use of the best and most up-to-date technology from around the world,” says Talgat Turumbayev, chief executive of Kusto Vietnam. • In December 2012, work began on a new $27bn steel complex in the Vung Ang Industrial Zone including a hi-tech steel mill, deep-water port and a thermal power plant. This is a fundamental piece of strategic infrastructure that will help power Vietnam’s growth for decades to come. • In the north-west city of Da Nang, the Nga Ba Hue multi-level intersection bridge is part of an $80.5bn investment in road building. The intersection is at the junction of National Highway No 1A, Dien Bien Phu Street, and the National Railway and is designed to handle complex traffic flows on three levels with elevated roundabouts, off and on ramps, as well as flyovers for road and rail. Work began in September 2013. • Work started in May 2013 on a project to build a 140km-long express corridor, including 131.5km of asphalt-concrete expressway and a link road to National Highway 1A. These projects are part of the government’s strategy of increasing development opportunities and creating a virtuous circle of investment and growth. In each one, Kusto is playing a central role, supplying basic but high-quality building materials. A thriving economy also needs quality housing and again Kusto is leading the way, helping to raise standards and improve living conditions. It is breaking new ground with its Diamond Island development in Ho Chi Minh City, Vietnam’s first truly luxurious apartment complex. 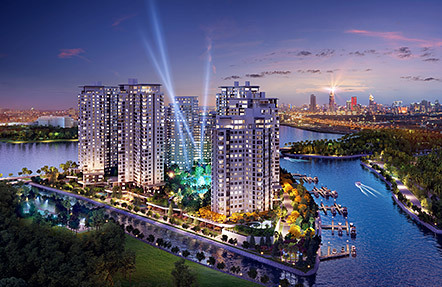 Diamond Island is a beautiful development located on the banks of the Saigon River, surrounded by water and stretching over eight hectares. In addition to the standard high-spec facilities such as a spa, gym, shops and restaurants, it also features a marina, yacht club and fishing, and has its own water-taxi service. Its position is second to none, just minutes from the city centre. Residents include Vietnamese working abroad but wanting a foothold at home, as well as successful entrepreneurs, ex-pats working in Vietnam and long-term investors. Just as quality construction is vital to building sustainable infrastructure, so are modern logistics and healthcare. With this in mind, Kusto has invested in the number one logistics and number two port operator, as well as in a private health clinic. “All our investments in Vietnam are about the basics – setting up a great base from which the country will grow and from which its people will benefit. It’s exciting but it also makes great business sense and we’re proud to be involved in creating a sustainable dynamic future for Vietnam,” says Turumbayev.